Todd Phillips, best known for his work on The Hangover trilogy, is directing and co-writing the movie, which doesn't yet have an official title. Scott Silver (8 Mile) co-wrote the script with Phillips. Filming is set to get underway in September with a budget of roughly $55 million, which lines up with what we reported recently but now it's been nailed down. While that's not a small movie by any means, it's a lot less than would typically be spent on a superhero movie these days. Especially one featuring The Joker. Not much has been revealed about the plot, but Phillips did provide a very brief logline. 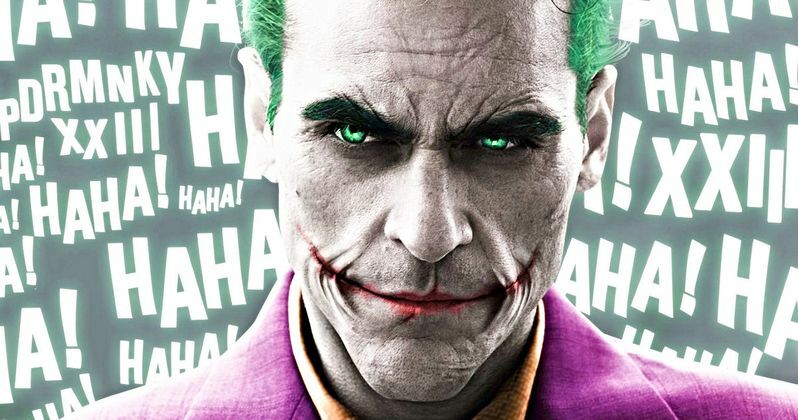 This Joker origin movie is set to take place outside the continuity that has already been established in the DCEU with movies like Suicide Squad, Wonder Woman and Justice League. Warner Bros. and DC will reportedly be launching an entirely new production banner to produce this and other similar movies that will allow them to explore different types of stories that don't have to be connected to a larger universe. Jared Leto most recently played The Joker in 2016's Suicide Squad, following in the footsteps of Heath ledger's character defining performance in The Dark Knight. Leto, much like Joaquin Phoenix, is a very respected actor and he lends major credibility to this project. Though, Leto's take proved to be more divisive than anything else. The Joker is one of the greatest comic book villains ever created and his origin has historically been left intentionally vague in the pages of DC Comics in order to leave a certain sense of mystery. For many fans, this origin movie is going to be treading in some very sacred and murky waters. Leto, at the same time, isn't done with the role just yet. He's set to appear in Suicide Squad 2 and is also developing his own standalone Joker movie. Joaquin Phoenix most recently starred in the critically-heralded You Were Never Really Here and is appearing in Gus Van Sant's Don't Worry He Won't Get Far on Foot, which arrives in theaters this weekend. Warner Bros. has not yet set a release date for the Joker origin movie, but the movie could be ready for release by late 2019, if everything goes according to plan. No other casting announcements have been made at this time. We'll be sure to keep you up to date as more details on the project are made available. This news comes to us courtesy of The Hollywood Reporter.